I mentioned in my last entry that I am working on a series of instructional videos with Jeff Little. Jeff is the owner of Blue Ridge Kayak Fishing and has produced four successful DVDs on kayak fishing and seasonal tactics for river smallmouth bass. In 2007 he authored My Life in a Kayak: In Pursuit of Trophy Smallmouth. He has numerous appearances in regional and national publications such as Bassmaster Magazine, North American Fisherman, Bassin’, Kayak Angler, and others. Besides Jeff’s obvious media and marketing skills, I am finding him to be a darn good fisherman. I mentioned last week how a good fisherman can be successful almost anywhere on any species when they learn to recognize patterns. There’s obviously more to it than that, but the key word in that sentence is learn. 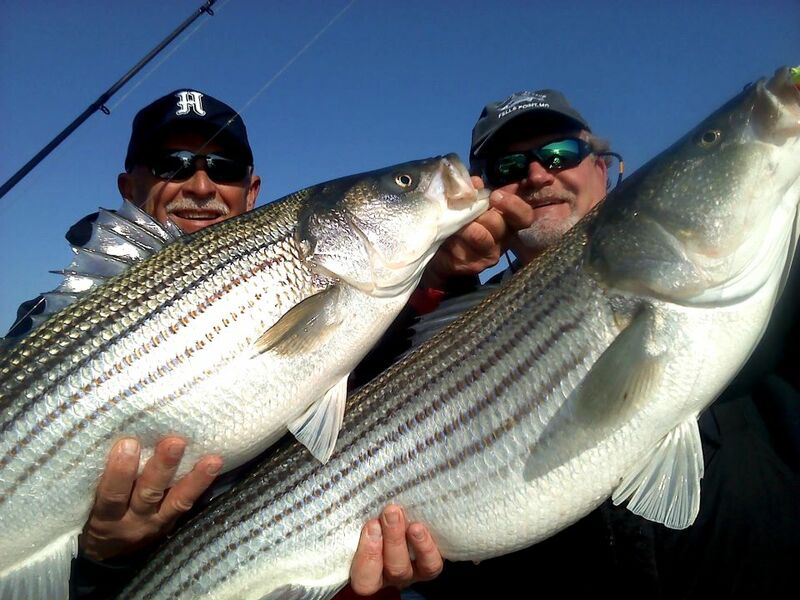 Light tackle casting for striped bass and other species on the Chesapeake Bay isn’t rocket science, but there is still a significant learning curve if you want to be consistently successful. 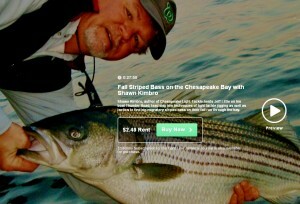 Eight years ago when I started learning to cast for Chesapeake stripers, I asked questions from anyone who would talk to me and documented everything immediately as I learned it. That documentation eventually became this blog and subsequently my book, Chesapeake Light Tackle – An Introduction to Light Tackle Fishing on the Chesapeake Bay. I’m very excited to be working with Jeff as he begins a similar path and documents his learning process with these videos. We’ll see where it takes us, but the plan for now is to release short clips and stream them on the internet. If you’re interested, you can rent the video for a couple of days for a very slight fee, or you can subscribe monthly to Jeff’s video channel. Either way, the cost is very small. We don’t expect to make any money at this stage of the game, but we want to make the information available as we record it. Later, we may compile the segments into something more commercially viable, so we thought it might be interesting to let the project develop live on the internet with feedback from our blog readers and social network friends. You’ll see lots of familiar faces throughout the series. The first segment is called Fall Striped Bass Patterns and features Rich Jenkins. We shot the entire video over an 8 hour fishing period last Saturday. It details my usual strategies very well and documents the specifics of a successful Fall day running and gunning for Chesapeake Stripers. You can watch the first 3 minutes of the 29 minutes segment by clicking the picture below. We’re currently working on a new segment called, Online Resources & Trip Planning. It should be available in a couple of days. I’ll keep you posted here and via Facebook or Twitter. Thanks in advance for tuning in. The weather outside is frightful, but there may be a few fishing windows over the holiday weekend. Here’s to tight lines and tasty turkey this Thanksgiving! Great video! Can’t wait for more to come. Thank you for all of the time you invest in helping light tackle anglers like me excel at what we love to do. Your efforts are greatly appreciated by me and many others. Update…Great information resource.Recommend to all interested in learning more about how, why,and where and more.